Exhibit at London Science Museum. 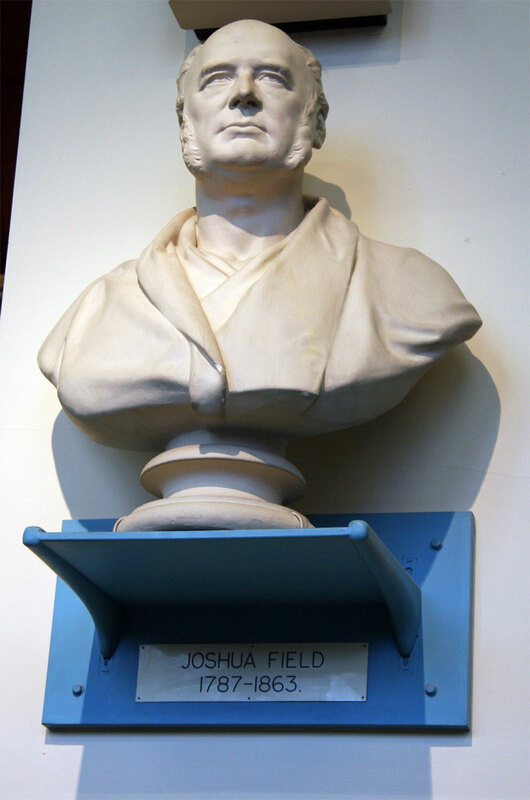 Joshua Field (1786–1863) was a British civil engineer. 1786 November 2nd. Field was born in Hackney to John Field a corn and seed merchant who was later to become Master of the Worshipful Company of Merchant Taylors. 1803 Field went to work at Portsmouth Dockyard as a pupil of Simon Goodrich, as a draughtsman in the office of Samuel Bentham. Bentham, the Inspector-general of naval works, commissioned Henry Maudslay to produce tools for mass producing ships' blocks at Portsmouth Block Mills based on the designs of Marc Isambard Brunel. 1804 Maudslay requested a naval draughtsman for the work - Field was sent. The machines they produced required ten unskilled men to take the place of 110 skilled craftsmen, and have been recognised as the first use of machine tools for mass production. 1810 Field moved with Maudslay to a new works at Lambeth. 1812 Field became a partner of Maudslay in the firm of H. Maudslay and Co.
1817 Field joined with seven other young engineers who decided to found the Institution of Civil Engineers as a more accessible institution than the established but elitist Society of Civil Engineers. 1820 May 30th. Formally became a member of the Institution of Civil Engineers. 1822 the firm's name was changed to Maudslay, Son, and Field. One of their jobs was to build engines for the SS Great Western's Atlantic crossing of 1838. 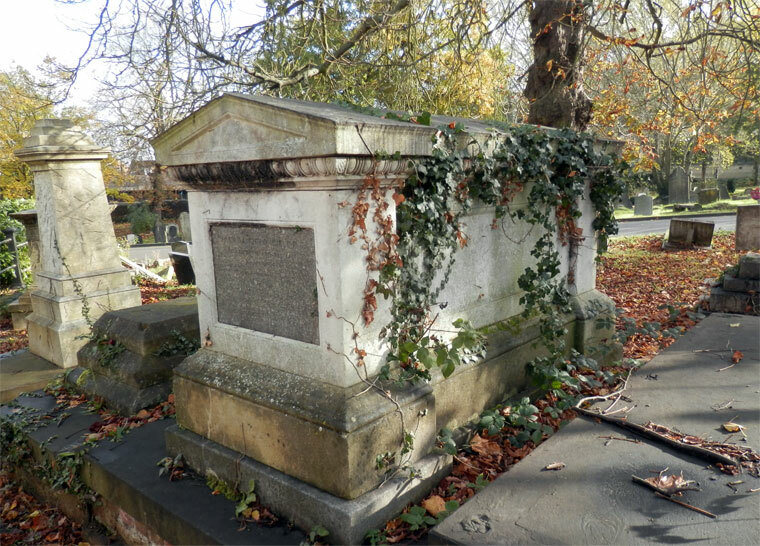 1827 Married Matilda Evans (1796–1874) in Camberwell, who is thought to have been a niece of John Medenham, one of the partners in the firm from 1812 to 1820. Two of their sons, Joshua Field (1829-1904) and Telford Field, became partners in the company during the 1860s. 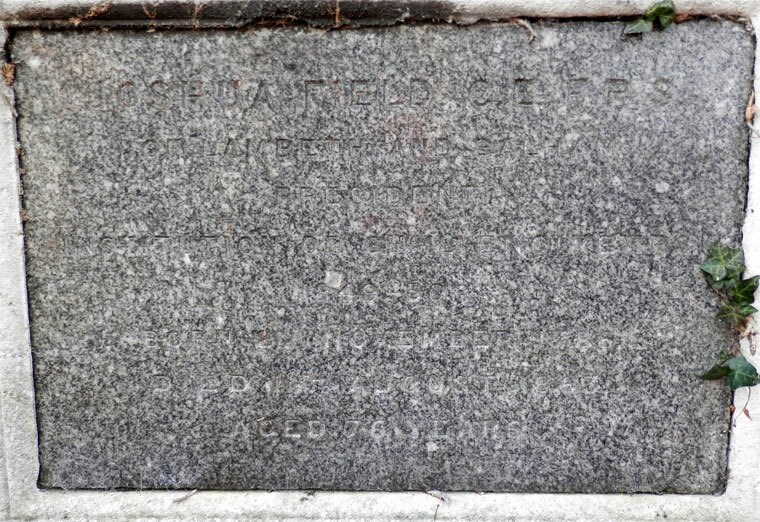 There was also a third son, Sidney, who lived at Reigate. 1837 He served as vice-president of the Institution. He continued to hold that office until elected president on 18 January 1848, being the first mechanical engineer to hold the presidency and the only one of the original proposers to hold the post. In his inaugural address, delivered on 1 February, he alluded particularly to the changes which had then been introduced into steam navigation which allowed for a greater capacity and speeds. On 3 March 1836 he became a fellow of the Royal Society, and was also a member of the Society of Arts. He was a prolific engineer working with the Atlantic Telegraph Co on machinery for cable laying, with the Metropolitan Board of Works on sewage systems and Isambard Kingdom Brunel on his steamships. 1863 August 11th. 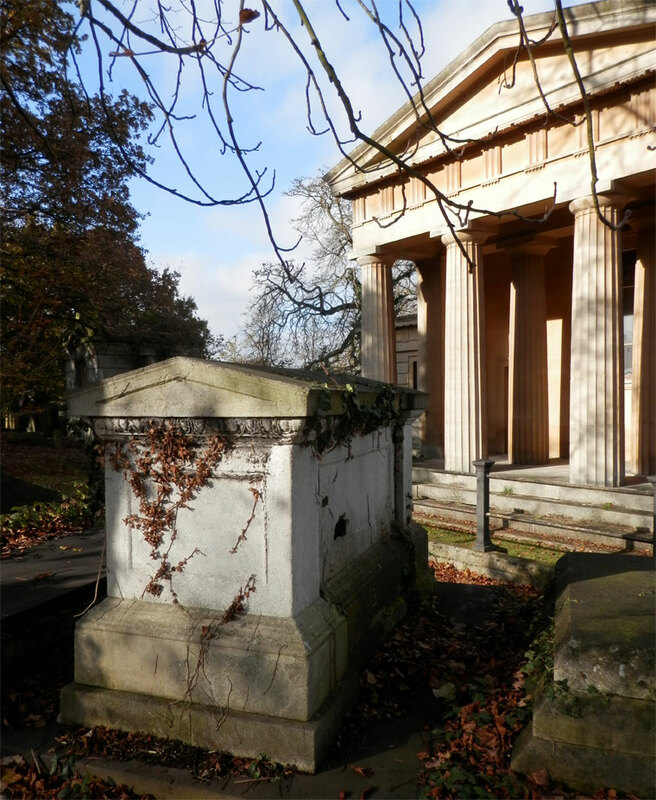 Field died at his residence, Balham Hill House, Surrey, aged 76 and was interred at West Norwood Cemetery in a Portland stone sarcophagus. Joshua Field F.R.S., was born at Hackney, in the year 1786. His father was largely engaged in the corn and seed trade, which he carried on in Lower Thames Street, where he had warehouses and a residence; but his family, which was large, chiefly resided at Hackney, then a village, quite separate from London. At seven years of age Joshua Field was sent to a boarding school at Harlow, in Essex, then conducted by the Rev. J. Brown, and he remained there until he was sixteen. He very early displayed a love for mechanical pursuits, collecting tools and learning to use them ; and, as with most young mechanics, clocks and watches offered the readiest means of exercising this assumed vocation. The school clock being out of order, and Mr. Brown having heard of his pupil's skill on the watches of some of the neighbouring farmers, asked if he thought he could mend it, and on permission being given him to try, he made so good a job of it, that his reputation became great amongst his fellow pupils. On leaving school in 1802, he visited, as often as he could, the steam-engines and mills to be found in London at that time; and the natural bent of his mind no doubt became strengthened and confirmed by what he saw on these occasions, and which led him to desire most earnestly to be engaged in such pursuits. About this time the Government commenced the establishment of machinery in the Royal Dockyards. This was effected under the superintendence of the late General Sir Samuel Bentham, who, with a staff under him, began his operations in Portsmouth Yard. It was thought by his friends that an opportunity might there present itself for testing his mechanical inclination, and the father of young Field having applied to Sir Samuel Bentham, the son was admitted into the works at Portsmouth, where he remained about two years, under Simon Goodrich (M.Inst.C.E. ), then chief Mechanical Superintendent, and Mr. Linahan, the Master Millwright, under whom he was chiefly engaged in drawing, but occasionally working with the millwrights. After remaining some time at Portsmouth Yard, Mr. Field was requested by Sir Samuel Bentham to come up to the Admiralty at Whitehall, to assist in the drawing department, and there he remained about a year. About that time the block machinery invented by Mr. (afterwards Sir Isambard) Brunel was being constructed by Mr. Maudslay, who, requiring some assistance in drawing, applied to Sir Samuel Bentham to recommend him a competent draughtsman, when Sir Samuel and Mr. Goodrich strongly recommended young Mr. Field. This accidental circumstance was the origin of the subsequent connexion of Mr. Maudslay and Mr. Field, in which their combined talents produced for the country many important improvements in marine engineering. An intimacy was also commenced with the late Mr. I. K. Brunel, which continued, without interruption, until the death of that gentleman. Mr. Field’s new engagement with Mr. Maudslay commenced some time in 1804, at the establishment in Margaret Street, Cavendish Square, where there were employed about eighty men, who were chiefly engaged upon some of the best work of the period, requiring the use of the most perfect tools, and thus the attention of Mr. Maudslay was devoted to maturing improvements in them. At this period Mr. Maudslay’s was about the only factory in which the slide rest was generally applied to the lathe. In 1810 the manufactory was removed to Lambeth, where a variety of mechanical operations were carried on. Steam Navigation was practically introduced in England about 1812, and the manufacture of marine engines was commenced by Mr. Maudslay, and has since been the principal, although by no means the sole, employment of the establishment thus founded. For besides saw machinery, corn mills, block and mint machinery, in all of which much has been done there, Mr. Maudslay made the first shield used in the construction of the Thames Tunnel. But steam-engines, for land and marine purposes, have been what may be termed the staple trade of the works; and for the purposes of navigation alone this firm had made, up to Midsummer, 1863, engines of the aggregate nominal power of 90,790 horses. Paddle and screw engines made by Maudslay, Sons and Field, are to be found in operation in all parts of the world, as well in the naval marine of this and other countries, as in mail steamers and mercantile vessels. The 'Enterprize' steamer, commenced by a private Company of which Mr. Maudslay was one of the principal shareholders first made the passage to Calcutta, and proved a good pioneer for more recent operations. Subsequently the ‘Great Western,’ between Bristol and New York, may be said to have given birth to the present constant steam communication between the mother country and America. To the design and construction of the engines of the ‘Great Western,’ Mr. Field early and late gave most particular attention. The regular navigation of the Atlantic by steam was then regarded as an experiment on a large scale, and many scientific men agreed with the late Dr. Dionysius Lardner in prognosticating failure. The 'Great Western,' however, proved a complete success, and it is believed that no engines ever went through such continuous and arduous work more satisfactorily, or with less expense in repairs. This vessel eventually passed into the hands of the West India Mail Company, and continued until a recent period to do good service. 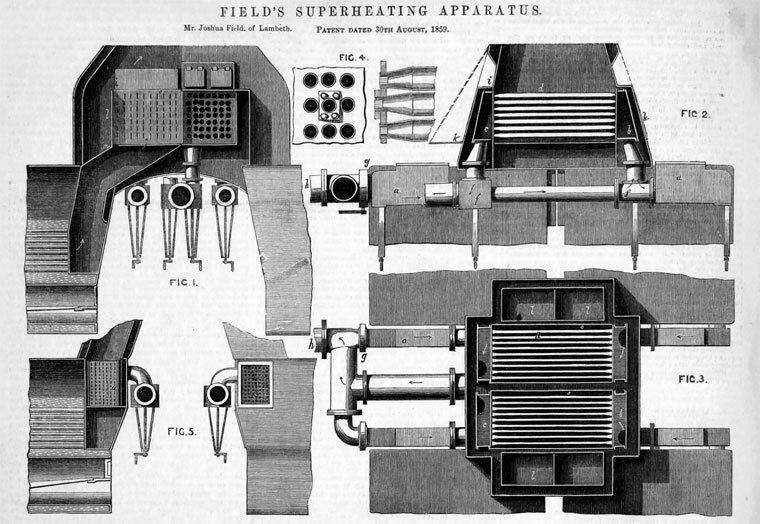 It should be remembered that these were the days of flue boilers and moderate pressure; but if engines and boilers on this principle lacked somewhat of speed, when compared with the results of more recent times, they undoubtedly had the advantage of a smaller consumption of coals, and of greater durability. In 1822 Mr. Field was, with Mr. Maudslay’s eldest son, admitted as a partner. On the 14th February, 1831, Mr. Maudslay died, and the works were greatly extended, so as to meet the expanding character of steam navigation. Mr. Field, in conjunction with Mr. Lloyd, Mr. Penn, Mr. Appold, and Mr. Amos, was also consulted in reference to the laying of the Atlantic Telegraph Cable; and it was under their advice that the machinery was constructed by which the cable was actually laid in the first expedition, though the undertaking was not, unfortunately, equal1 successful in other respects. He was likewise called upon for his advice on many occasions by the Astronomer Royal, and the time balls at Greenwich, at the South Foreland, at Liverpool, and at Edinburgh, were made by the firm of which he was a partner. Mr. Field was one of the founders of the Institution of Civil Engineers, the origin of which was very humble. About the year 1816, Henry Robinson Palmer, who was then a pupil of the late Bryan Donkin, suggested to Mr. Field the idea of forming a society of young Engineers, for their mutual improvement in mechanical and engineering science; and the earliest members were Mr. Henry Robinson Palmer, Mr. William Nicholson Maudslay, and Mr. Joshua Field. To these three were shortly added James Jones, Charles Collinge, and James Ashwell. They met occasionally in a room hired for the purpose, and to them were soon attracted others having the same objects in view. Mr. Field was the first Chairman of the Institution, being elected to that post on the 6th of January, 1818. Subsequently he became, in 1837, a Vice-President, an office he filled until he was elected President in 1848 and in 1849, and he continued to the last to be an active member and warm supporter of the Institution; constant in his attendance at the Meetings, and taking part in the discussions, and if not personally contributing Papers, procuring them from Members having more leisure. It is to be regretted that, from a modesty that was in every way natural to him, many of the incidents of his early career are either not known, or only partially given. He was often pressed to note down some of his early recollections, as well concerning himself as of those with whom he was brought into contact; but it was only lately that he in part complied with the representation made to him. It was once remarked, by Lord Brougham, of an intimate friend of his, that those who knew him only in his external relation to society knew but half his worth, and the same may with equal confidence be said of Mr. Field. Unassuming to a degree in his personal demeanour, he was the embodiment of all that was courteous, considerate, and kind in his feelings towards others; and, indeed, he naturally presented so much of the true gentleman and benevolent kind-hearted man, that it was impossible to make his acquaintance without entertaining for him the highest sentiments of respect and esteem. It was a privilege to spend a social hour with him, when he would bring forth vast stores of information bearing directly or collaterally on his varied experience of men, and of mechanical and scientific pursuits, and the natural geniality of his nature then showed itself most conspicuously. Possessing an admirably balanced mind, he was never either unduly excited or depressed. His advice was often sought, even by strangers, and no effort wearied him in his endeavours to correct their views when wrong, or to confirm them when right; whilst to all appeals of a charitable nature, the hand of benevolence was constantly open, and he seemed to feel a pleasure in materially aiding those that needed help. His charity was liberal, without a particle of ostentation, and discriminate, without a tinge of selfishness. In religious belief Mr. Field was a Nonconformist, but of such enlarged Christian views, that he frequently contributed to churches and schools in connexion with the Establishment. Few, indeed, were the cases of private or public want brought under his notice that he did not readily, and often liberally, respond to; and as a short summary of his character, it may be said, that he was a truly good man in private life and a great man in his professional career. Joshua Field was born at Hackney in 1786, his father being an extensive com merchant. After leaving school in 1802 he spent two years in the machinery department of Portsmouth dockyard, then recently commenced under the superintendence of General Sir Samuel Bentham, and afterwards a year in the Admiralty drawing office at Whitehall. He was then engaged by Mr. Maudslay as draughtsman upon the block machinery invented by the elder Brunei, which was then in course of construction by Mr. Maudslay, with whom he was thus brought into connection, and with whom he thenceforward continued, being first in the original factory in Margaret Street, Cavendish Square, which was removed in 1810 to the present site at Lambeth, where he became a partner in 1822« Steam navigation having been introduced about 1812, he was principally engaged in the manufacture of marine engines, first for paddle-wheel vessels and more recently for the large screw war steamers. His name is specially connected with the introduction of steam navigation, and with bringing to its present state of perfection the Marine Engine, in the improvement of which he took a very active part, from the early 10 horse power engines of the "Richmond" and "Regent" made in 1815, to the large horizontal screw engines of 1350 nominal horse power made by his firm in 1862 for the iron-plated frigate "Agincourt." He became a Member of the Institution in 1862, and died on 11th August 186S at the age of seventy-six. This page was last edited on 4 May 2017, at 14:01.